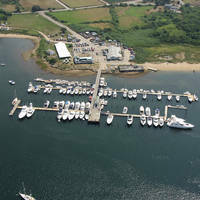 Established in 1997, Grey Lady Marine is renowned as a full-service, high quality marine facility on Nantucket island. Offering a complete range of services from mechanical repairs and yearly maintenance to hauling/launching, storage and expert fiberglass and painting. We have all your boating needs covered. Our state of the art facility at 13 Arrowhead Drive offers two mechanical bays, boat building bay, spray booth, a wood shop located on the second floor mezzanine deck, motor shop and outdoor rack storage. 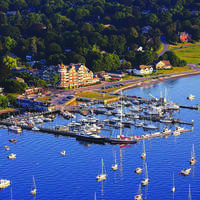 At our location on the water at 96 Washington Street we continue to provide hauling/launch and fuel sales. 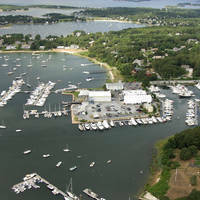 Throughout the years we have provided our customers with exceptional marine service. We continue to offer the same quality of service with the same familiarity and knowledge that you have come to expect. Our commitment to customer service is sure to make your Nantucket boating experience an enjoyable one. No reviews yet! Be the first to write a review of Grey Lady Marine.